Crowdfunding site Kickstarter has facilitated funding for more than 50,000 projects from 4.9 million unique users. The majority of projects raise $10,000 or less, but a few bring in six figures. Look at the most successful projects to learn how they were funded. Aside from having a product or service that people want, you also need to know what to do once your project is fully funded. You should start planning for these activities early in your project, even before the campaign has launched. 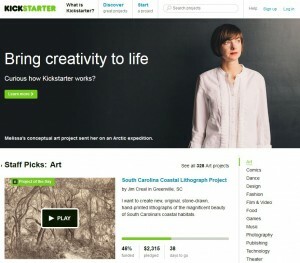 Kickstarter, unlike other crowdfunding sites such as IndieGoGo and GoFundMe, uses the all-or-nothing model. Your project must raise at least 100 percent of your goal to get anything. The other sites give you whatever you raise during the campaign. With Kickstarter, you won’t have access to funds until the campaign has completed. So part of your planning needs to include how to obtain the funds to fulfill the perks. Perks are a way of saying “Thank you” for a contribution. They aren’t meant to match the contributions. Choose fulfillments that are easy to execute and that won’t take a large chunk from your funding. People like trophies and badges that they can touch and display, and they can be as simple as printing postcards with a group photo of your team holding a sign that says “Thank You.” Books, T-shirts and other swag that may have to be sent overseas can become expensive, and those customs forms can be time consuming (you can set limits on international shipping). Vanity thanks are the least expensive and allow backers to take pride in their efforts. Some campaigns credit the backers in book acknowledgements or movie credits. If you must have a perk that needs to be shipped, create something that can be sent in bulk mail. They have a choice to receive the perk or not for their contribution, Some international backers choose no perk to minimize your shipping costs. Once your crowdfunding campaign completes, you’ll want your backers to continue following your project on your social networking pages and website. On your campaign page, direct your backers to your website. Create a special page for the backers so you can address them specifically. One important reason to stay connected with your backers is that some projects will go back for a second round of crowdfunding. For example, with film projects, post-production costs may be higher than estimated. Your Kickstarter page will not accept contributions once your project is complete. There are always a few people who wait until the last possible minute to contribute and you don’t want to miss their support.